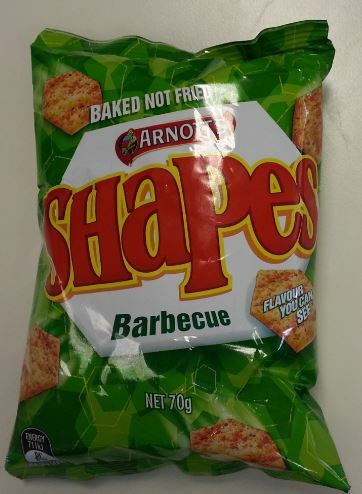 I’ve sort of lost track of what is going on with Arnott’s Shapes. New improved flavours, original flavours, special edition flavours, extreme flavours… I honestly have no idea what the current range actually is. 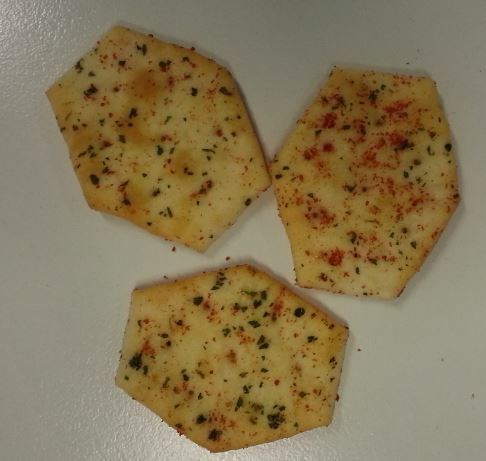 Anyway, into this melee comes another new flavour – Thai Chilli and Garlic Sauce. 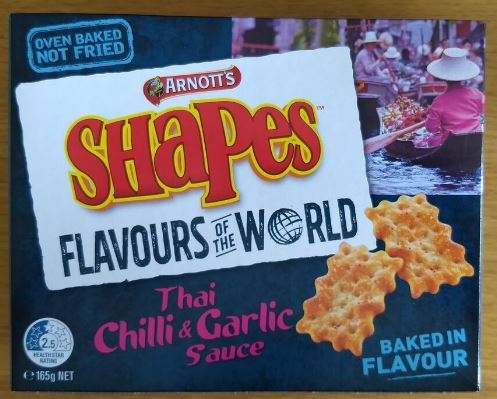 I have to say, when I was travelling in Thailand, I didn’t see a lot of garlic, nor a lot of that gloopy sweet Thai chilli sauce that we get over here. It was more zingy limes, fragrant lemongrass and pungent fish sauce. Still, the box has a picture of a Thai floating market on it, so I guess it’s supposed to be authentic. 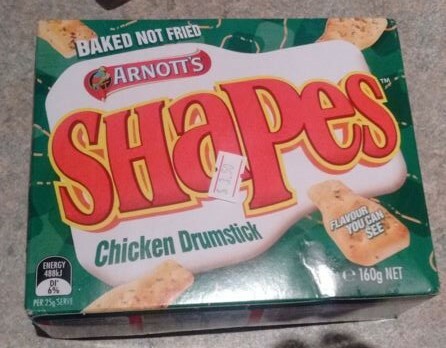 The first thing that strikes you about these biscuits is the colour. They are bright orange. Quite virulent looking, actually. They don’t really look a lot like biscuits, to be honest. 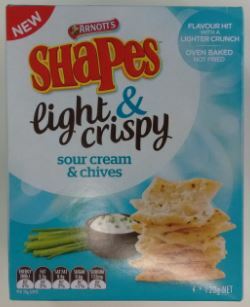 We seem to be edging perilously close to the ‘chip’ genre here – they are thin, puffy and double-sided, like some sort of kids snack. One thing they do have is spades is garlic. Wow. If you are unlucky enough to ever be confronted by a horde of thirsty vampires, I recommend breaking out some of these immediately. The garlic is strong to the point of overpowering. Best avoided if you are planning a romantic encounter (or even a business meeting) within an hour of consuming these, I’d say. The chilli part is also there, but more kind of that sweet chilli you get on chips, rather than a proper chilli zing. The texture is light and open, and it’s perfectly possible to eat these three or four at a time. Which to me is a firm indication that we’ve left ‘biscuit’ some way behind. In fact, I’m calling it. 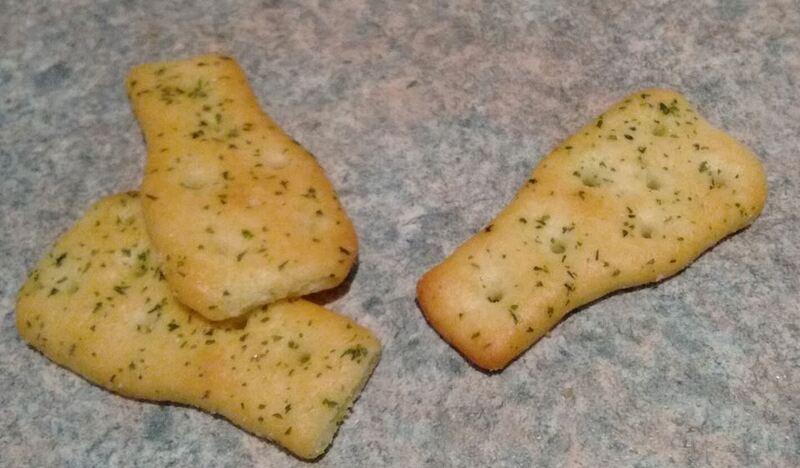 These are not biscuits. 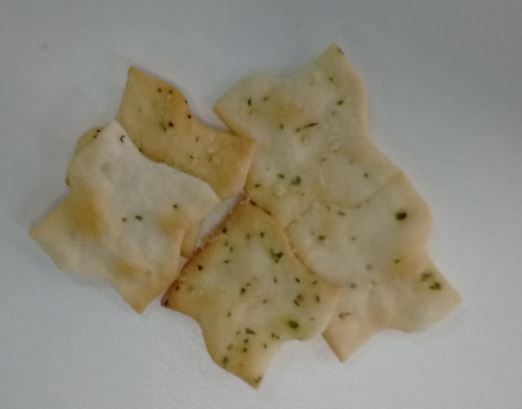 They are savoury snacks of the chip genre. They are not terrible. But they’re not that good either. I’m going to give them a five out of ten, then take away one point for being anti-social, and another for not being biscuits. There’s an old saying amongst chefs; if you want to give something that is otherwise a bit bland instant appeal, simply add cheese and bacon. There’s something magic about that combination of fat, protein and salt that is just irresistible. 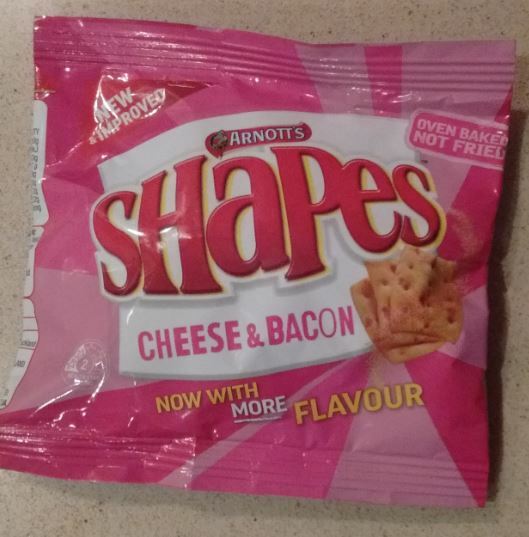 But do Arnott’s capture this irresistibility with the Cheese and Bacon shapes? 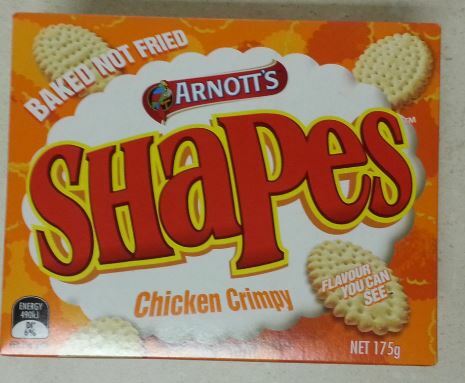 Of course, the controversy is still still raging about the ‘new’ Arnott’s Shapes. 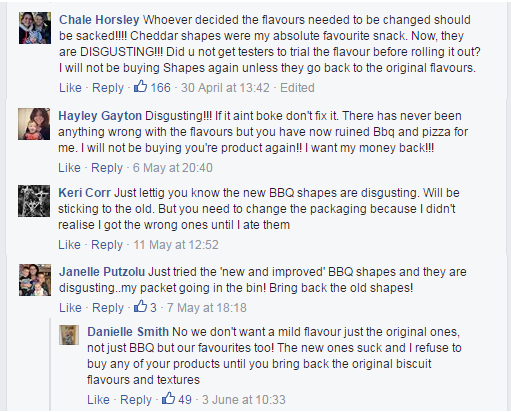 I covered this new Shapes debacle last time when I looked at the Barbecue flavour. 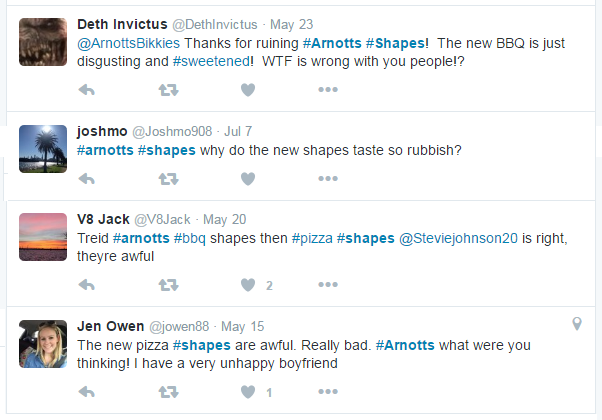 Almost half a year on, the backlash continues; social media is still alight with negativity about the new flavours, and Arnott’s have actually had to re-introduce the original Pizza flavour in an attempt to prevent street riots and the like. 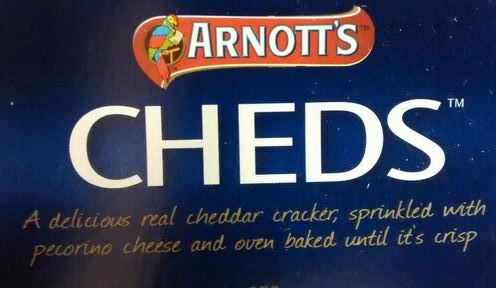 Cheese and Bacon is not a flavour I have previously tried, so I have no idea what the original ones tasted like. So in one way this is a kind of more pure review, untarnished by sentimentality. The biscuits themselves are dusted with flavouring, and appear to have flecks of bacon embedded in them. With no bacon listed in the ingredients, however, I’m fairly confident these are just coloured bits of – something. Perhaps it’s best not to ask too many questions. 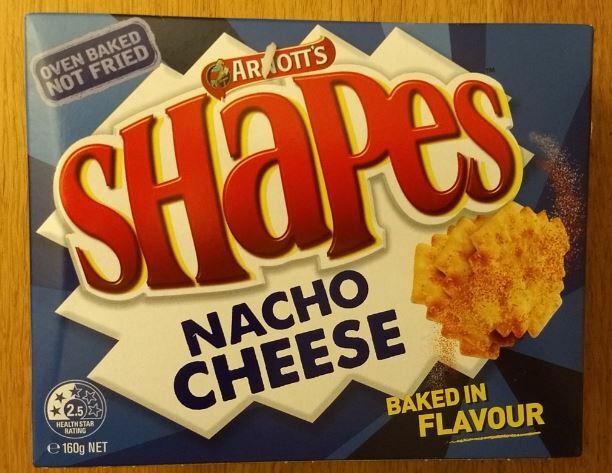 Well, here we are with another Shapes review, despite your protestations and howls of derision. However, in my defence I will say that these ones come in a box, and are much larger. 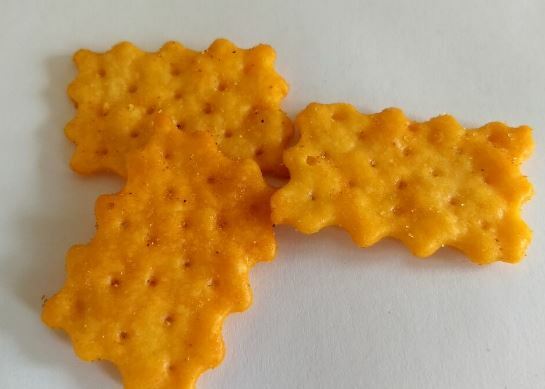 indeed, they are more reminiscent of Jatz than of the rest of the shapes range. They also feature the ‘flavour you can see’ line, but I have to say I’m confused by this. 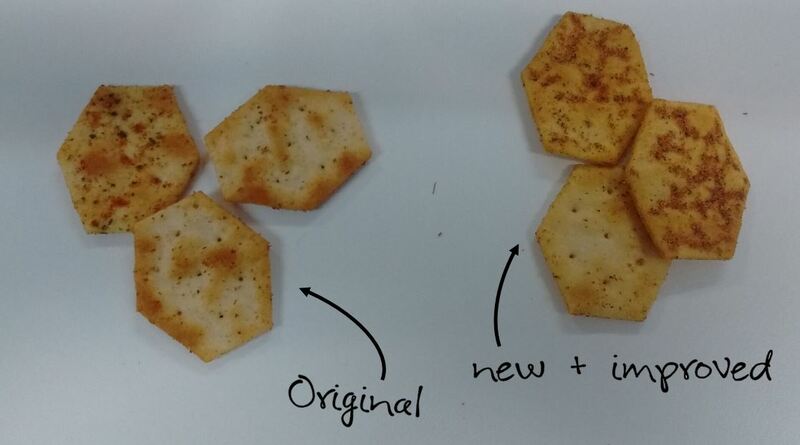 There is no ‘flavour’ to be discerned on these biscuits (unlike the Barbecue Shapes, for example). I suppose you could argue than pretty much anything comestible has ‘flavour you can see’, in the sense that you can see it is an edible item which presumably will taste of something. 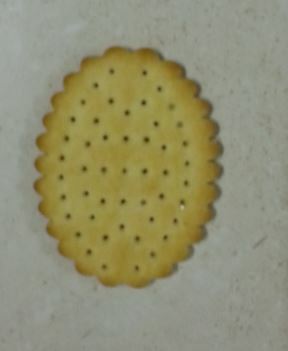 Perhaps Arnott’s are merely reassuring us that these biscuits are not invisible. 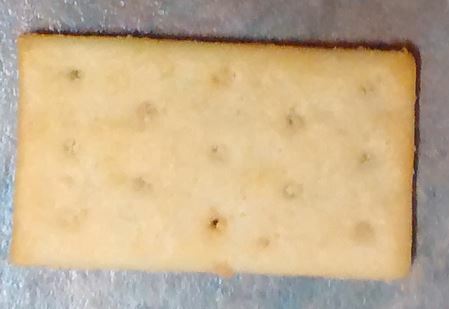 The biscuits have scalloped edges (hence the ‘crimpy’, I suspect), and are about four centimetres across. 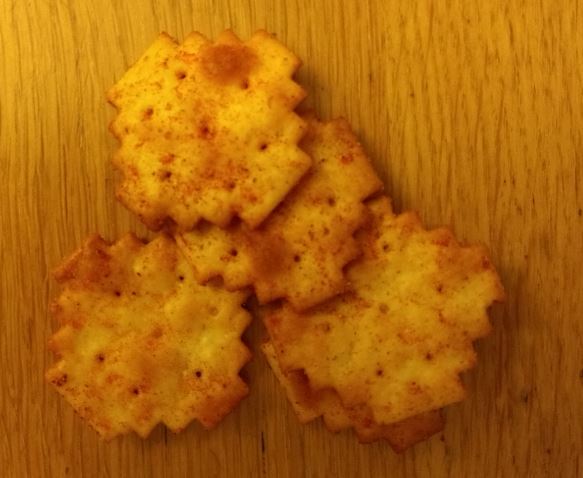 They are crunchy, and for all the world taste like plain biscuits for cheese sprinkled with a lot of chicken salt. Perhaps that’s what they are. Given the saltiness, I’m not sure they would go with cheese very successfully, but they did dip quite well into a guacamole salsa that I had in the fridge.